There are over 20,000 species of bees found across every continent except Antarctica, wherever there are flowering plants. Of these, the honey bee is the one we usually think of when thinking of bees. 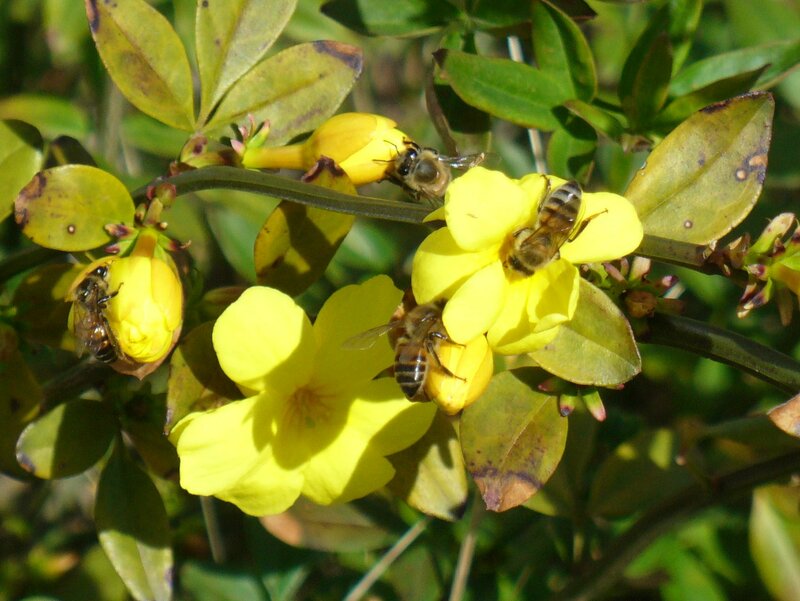 For over 4500 years, people have cultivated the humble honey bees for their honey and beeswax. According to the National Honey Board, the U.S. consumed around 450 million pounds of honey in 2013! Honey bees having a feast. Once back at the hive, these worker bees will use a dance of turns, circling, and waggling to communicate to their fellow workers the direction and distance to the food source. Honey bees live in colonies: a queen, responsible for laying all of the eggs; several hundred drone bees, fertile males; and thousands of worker bees, undeveloped female bees responsible for feeding the larva, gathering pollen and nectar, and building and maintaining the hive. To reduce the risk of genetic problems from inbreeding, queens do not mate with drones from their own hive. Once mated, the new queen along with hundreds of worker bees swarm to a new hive site. 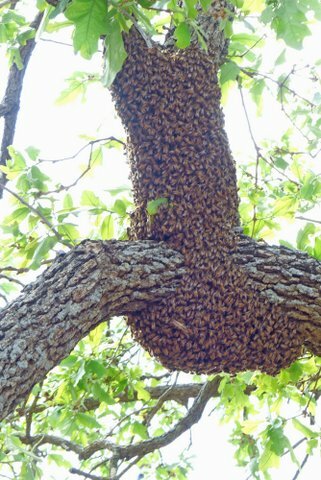 Honey bee swarm takes a rest in a tree while waiting for scouts to find a new home. Taken at Inks Lake Fish Hatchery.